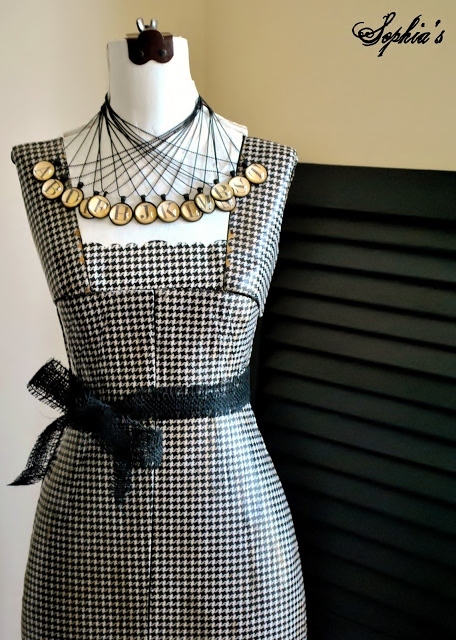 Even though this blog is predominately about home decor, furniture re-finishing, and other home-related topics, I hope you don't mind that I share a few jewelry projects every now and then. As I mentioned last week, I'm staying very busy getting for expanding my booth at SuzAnna's. Although I've always focused on stocking my booths at shows and shops with furniture and vintage finds, I like to include small, affordable gift items for every shopper. So even though spring is a few months away, I thought I'd add some touches of it for anyone else craving the end of winter. 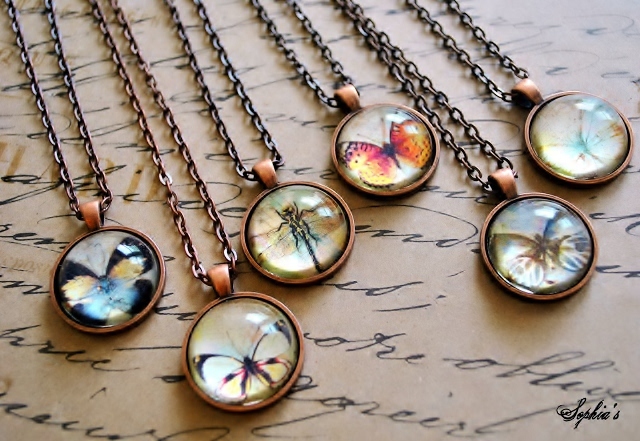 From bird nest pendants, butterflies and dragonflies under glass, I've been making some jewelry in the last few days as it got just too cold to work on furniture in the garage. 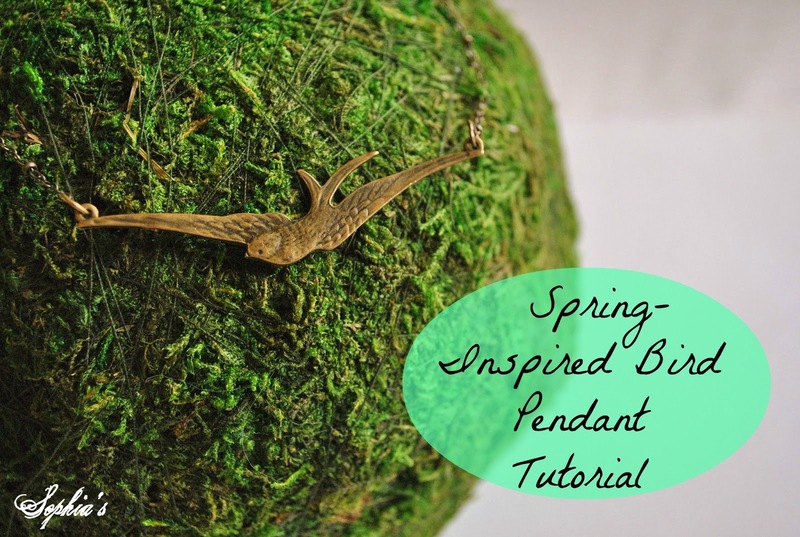 Bird or Swallow Connector Charms - you can find these at local jewelry or craft supply stores, or several different sellers on Etsy (like here or here). 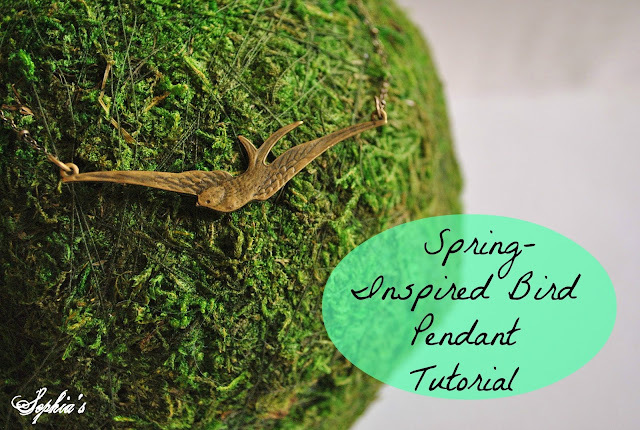 They are usually sold in multiples so you can make some additional pendants for gifts! Note: I'm not a jewelry-making expert and I like to stick to relatively simple designs so feel free to jazz this up with beads, double-chain, etc. As you can see, I used approx. 8.5'' of chain on each side of the bird connector (please ignore the kid-scribbled ruler), but once again...just cut the length you desire. Remember to take the length of the bird connector into consideration when determining the total length of your pendant (approx. 2''). It's a great way to spend the time when it's snowing and cold out! They look amazing. As everything you do does. LOVE mine that I bought from you at the Lucketts fair last year! I really do hope you come to VA again, even if it is just to visit! I'm absolutely in love with your bird nest necklace with the little pearl eggs, but I don't live in your area. Will you be offering it on your Etsy shop in the future? Kristen I just love that little sparrow necklace! That would make a great bracelet as well for those who do not wear necklaces. You make some beautiful pieces...love the sparrow! Kristen...I love your jewelry tutorials! Absolutely love the birds nest necklace! I'm feeling the cabin fever since snow is covering the ground here in Michigan. 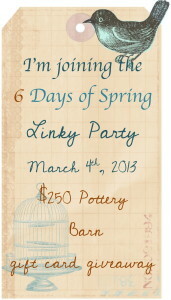 I can't wait til March when I'm heading to NC to visit my sister in law and hope to see your booth! Kristen, Even though I'm still looking for my perfect antique mall space, my idea is the same! Mostly furniture, but a few pretties too. And like you, the cold weather has me making jewelry! The bird necklace is lovely! I'm going to check out the links right now. Thanks! Kristen....you make the cutest jewelry...thanks for sharing this with us...Glad to hear that the temps will be in the 70's soon! Beautiful Jewlery. You make it look so easy. Thanks for the inspiration!